We know that our bodies are made up of pretty unique stuff, as nobody on this planet is exactly the same as anyone else. However, there are key things in our DNA that make up who we are. What do those things sound like? If your body had a unique “song”, would it be a top-40 hit? Thanks to personal genetics company 23andMe, and a project out of their new labs, you’ll be able to find out. The company allows you to take a swab of your saliva and send it in for a full report on your DNA. The project comes from 23andMe’s Mark Ackerley, who happens to be a classically trained composer from the San Francisco Conservatory of Music. He built an algorithm that goes through your genetic bits and creates a completely personal and unique “melody” out of them. “It’s fundamentally different because we look at so many parts of an individual’s DNA, that the total possible number of melodies is very high” Ackerley says. It starts by using some of the 50 traits 23andMe reports to customers — height, for instance, or eye color — and assigning a specific rhythmic value based on your specific genotype. Rhythm is the duration of time that a note is held and provides the framework for the melody. The music lab then chooses a key using your assigned maternal haplogroup. So if your maternal haplogroup is H, for instance, it might select the key of C Major. Once the rhythm and key are determined the algorithm selects the pitches using some of the traits 23andMe reports on. Mark included guidelines to ensure that the melodies created abide by certain musical conventions while also keeping it free enough to produce plenty of variety. For many, knowing things about yourself, such as what diseases you might be more likely to get in the future, upsets them. 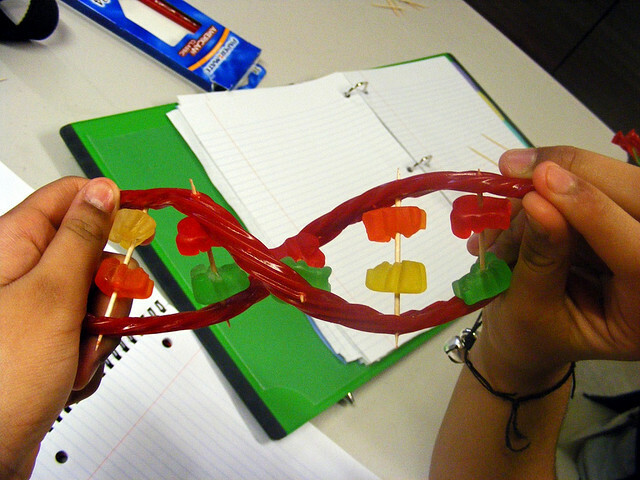 By doing cool things like this, the idea of genetic makeup isn’t so scary. When you sign up for 23andMe, it doesn’t tell you if you have Cancer or not, but it can guide you in certain ways that will help you prevent disease. To get started, a kit will cost you $299, which is completely worth it for all of the fascinating things you can find out about yourself. Over the last few years, I’ve been able to connect with fifth and sixth cousins that I wouldn’t have known existed otherwise.